Sainte Maxime contemporary new Rdc, beach walk, hyper center but quiet. 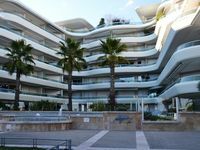 Property 27: Sainte Maxime contemporary new Rdc, beach walk, hyper center but quiet. Beautiful Studio With Large Private Terrace. Sleeps2-4. 2 Mins To Beaches. Property 33: Beautiful Studio With Large Private Terrace. Sleeps2-4. 2 Mins To Beaches. Rez of charming garden. Between beaches and coves. Sea view. Site preserved and calm. Property 39: Rez of charming garden. Between beaches and coves. Sea view. Site preserved and calm. Nice T3 in a protected property with large garden and terrace! Sun! 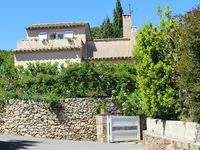 Property 42: Nice T3 in a protected property with large garden and terrace! Sun! Small apartment style "mini loft" with garden and terraces. Property 46: Small apartment style "mini loft" with garden and terraces. Well situated house with everything you need to relax and enjoy. Quiet area with nice view, a 20 minutes walk from the nearest beach. Renting a car will be a good idea to explore beautifull region - and there is a lot to see. Very good contact with owner. Important to remember about extra payment for bed linen. The most important thing: the location of this apartment is perfect in Frejus. Right on the best beach in the area, very close to shops and restaurants, in a new and secure building. The apartment itself is nicely decorated, with new furniture and a very well equipped kitchen. We could dine on the terasse enjoying the seaview every day. The communication with the owner was also pleasant and flawless. Recommended! !